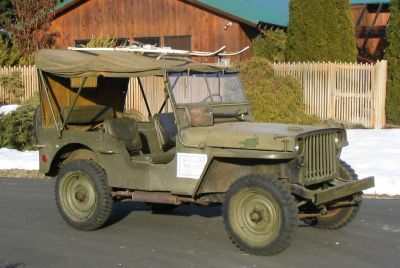 Will Johnson has shared some interesting pictures of his WW2 Willys MB returned to the US as it was released by the Norwegian service. We will look at some of the interesting details. Here we are looking at the drivers side toward the front. Notice the forward position of the rearview mirror. Passenger side view toward front. 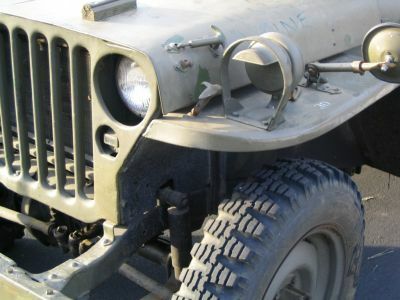 As we move around the outside of the jeep we get to look for any differences. Of course we notice the spare tire tread, more on that later. View from the right rear. According to Torfinn of Norway there should also be a ski rack on the back of the jeep. 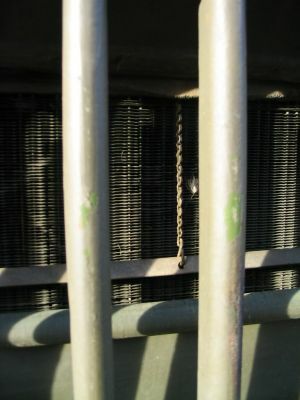 Left side, close up of the trailer socket. 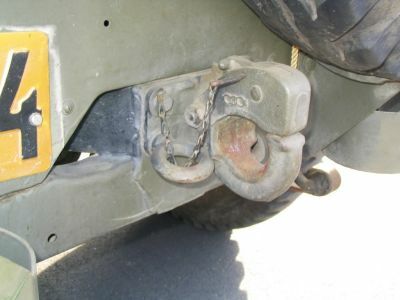 Gas can bracket. Notice the changes made by the Norwegians. 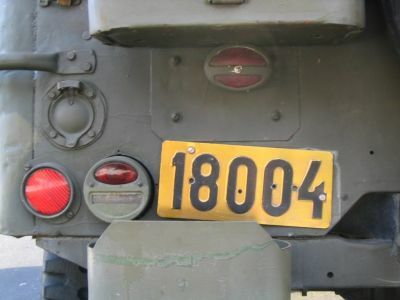 The original gas can mount has been elevated, a small light has been added and a license plate. View from the driver’s rear. 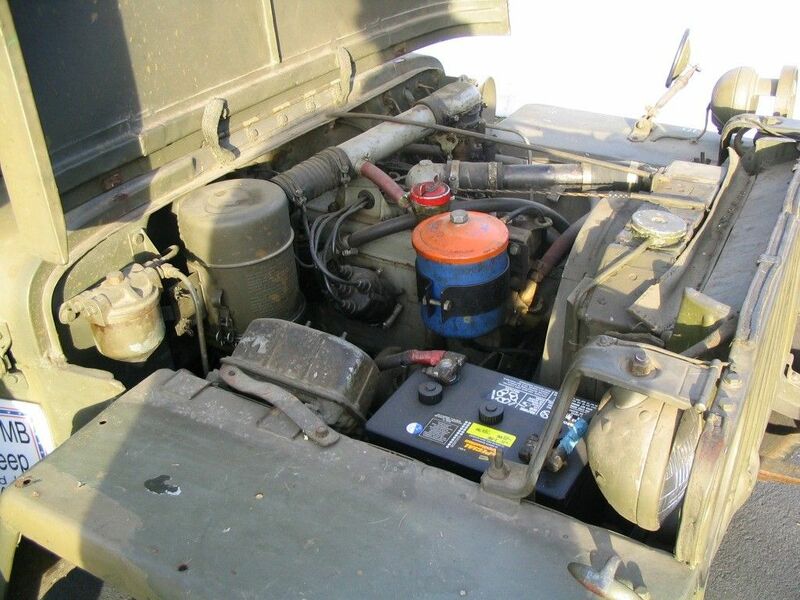 Elevation of the gas can is more visible in this picture. Left side, close up of the black out driving light and also of the interesting tire pattern. 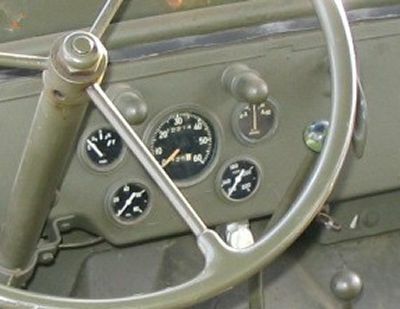 Looking inward at the dash it all seems pretty much normal US jeep. 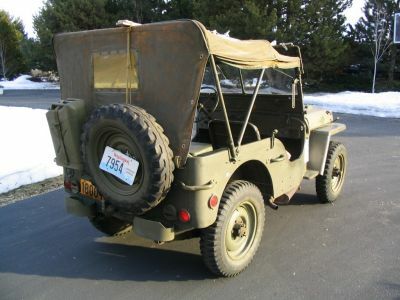 However, there may be details that distinguish this jeep from other US jeeps. Note the socket on the left. Looking at the instruments. Notice the white switch at the bottom of the picture? That’s a control for the crew compartment heater. This was a WW2 field modification that apparently the Norwegians really liked! This jeep has dataplates. However the center plate is some what different then the original. Close up of the data plate. Esslingen Ordnance Depot, 7845th Ordnance Maintenance Group, Ordnance Automotive Center. 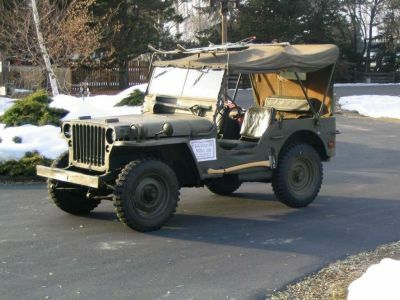 This jeep was rebuilt by that maintenance group in 1952. Here is a close up of the radiator curtain/shade control and also a heater switch control. 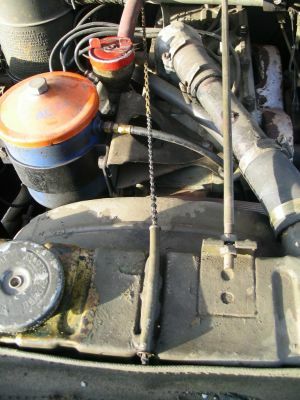 The chain comes from under the dash over the engine across the top of the radiator and down to the curtain or shade that is used to block air to the radiator. 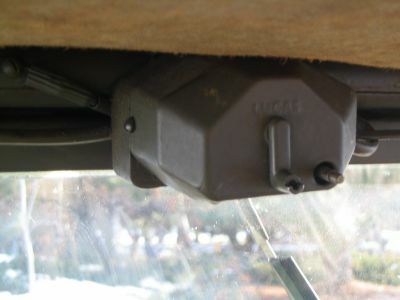 This enables the driver to further control the operating temperature of the jeep. Here the curtain has been pulled up a bit. 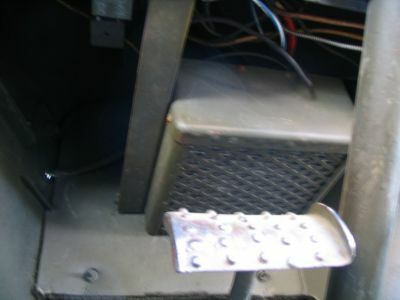 A view of the crew compartment heater. 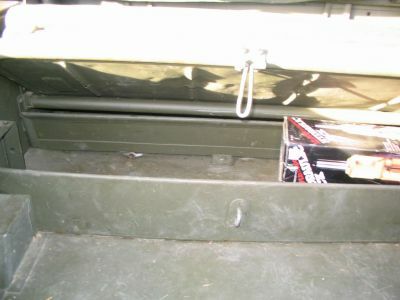 For more about the crew compartment heater, see Winterization Kit – Crew Compartment Heater. 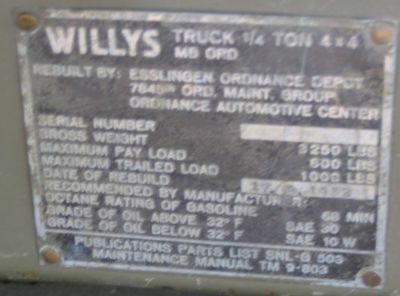 While we are looking in the engine bay notice the non-WW2 routing of the crew compartment heater tubing, the battery hold down not in use, non-US WW2 standard oil filter canister bracket, canvas seal around radiator. 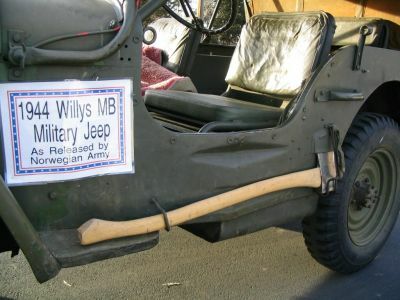 It could be the paint or the photo but the cross over tube does not appear to have the “dent” that the WW2 jeeps should have. Next let’s look at the seating. 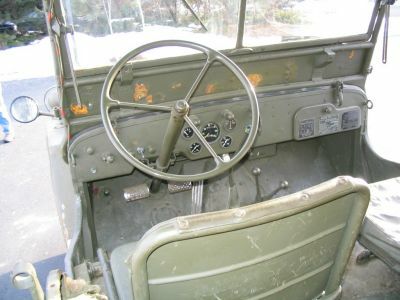 But notice all the buttons on the windshield frame. This is for the doors, a part of the winterization kit used by the Norwegians. 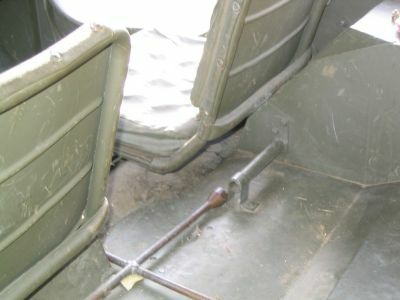 Also note how the seat back has tufts unlike the original seat backs. Ah, now there’s a comfy seat. Ready to ride a couple hundred miles? 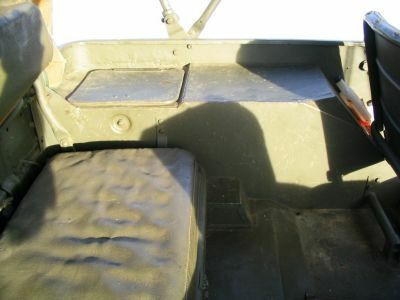 View of the rear seat and fender from the drivers side. 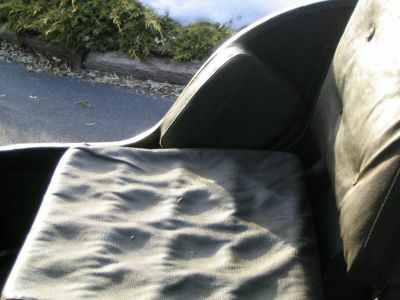 Drivers side of rear seat and fender. 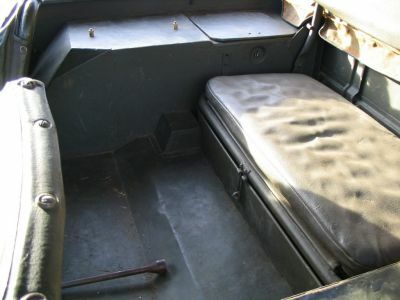 Now for something of interest, the rear seat pan with a toolbox that has been added under the seat. Tool box open. This may remind you of the tool box thought up by the Canadian’s during WW2. A drawing and some details were republished in Army Motors from the original in Canadian Army Motors. 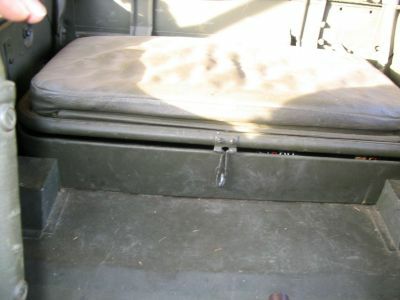 For more, see Seat Tool Locker. 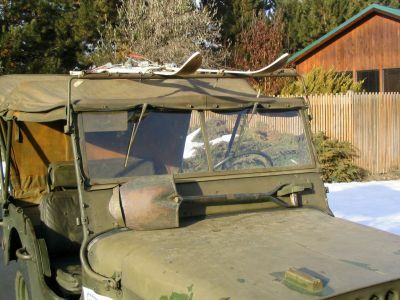 Wipers as used by the Norwegians. 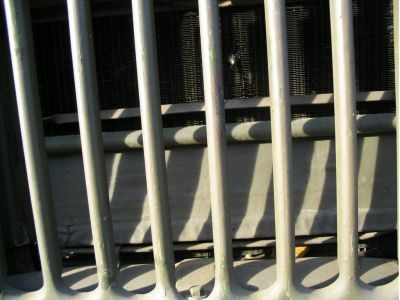 These appear to be electric and were manufacturered by Lucas. Back outside the vehicle again, notice the ski stowage rack and the windshield mounted shovel. Close up of the ski attachment points. 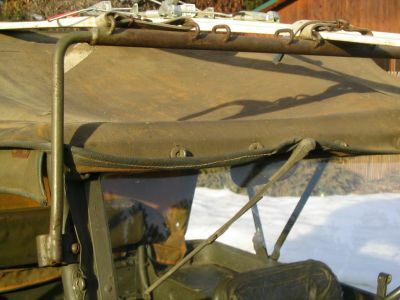 Also the exterior view of the wiper. The axe is still mounted in the original location and note that the side door fixtures are still present. 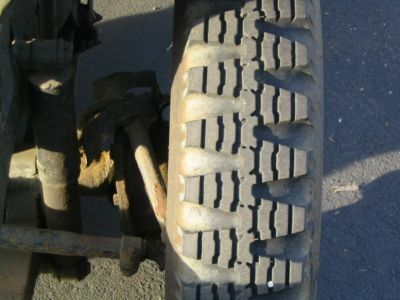 Looking at the tires once again we notice the different tread cut. These look pretty good from a distance and appear to designed to offer a better road grip. 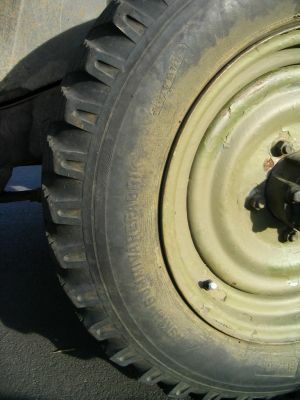 Close up of the tire. Tire detail with name of Norwegian tire manufacturer. The pintle hook. 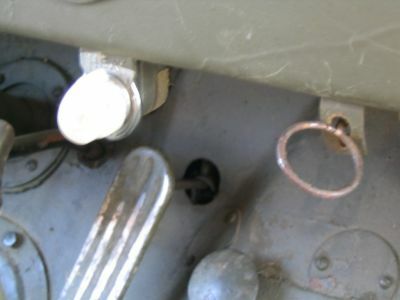 This appears to be a postwar or Norwegian pintle as it is equipped with the additional safety lock–the cotter pin with chain. You can also just make out the tire support under the spare tire. 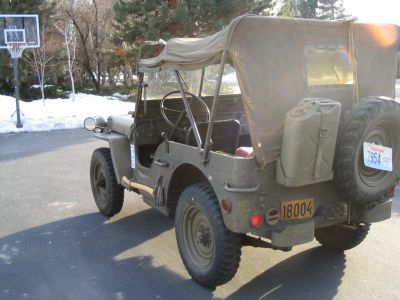 Well, there you have the 1944 Willys MB as released by the Norwegian Army. Looks great. 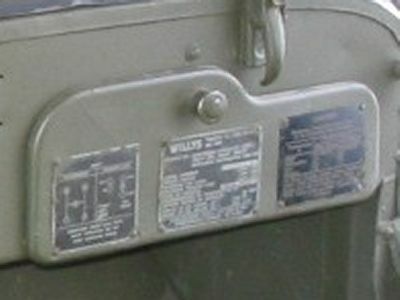 If you liked Ole then you also might be interested in WW2 Jeep Winterization information. 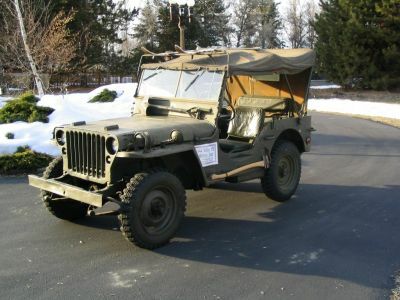 Check out Winter and the Willys MB/Ford GPW and also the Winterization Field Kit Installation Manual.